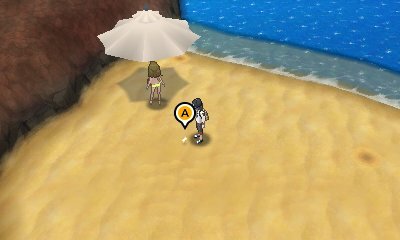 In the game, there are many instances where Pokémon will ambush you through dust clouds, falling from trees, or flying overhead. Sometimes, after the battle, an item will appear which requires picking up. These items are often either very valuable and can be sold at a high price, or is a battle item such as Sharp Beak, or even special wings that can boost your Effort Values. The appearance of these are random, so you can exit the area and try again in order to collect the item.